Modification of your existing alternator to accept an external regulator is a requirement and can be done by yourself or a reputable auto electrical shop. 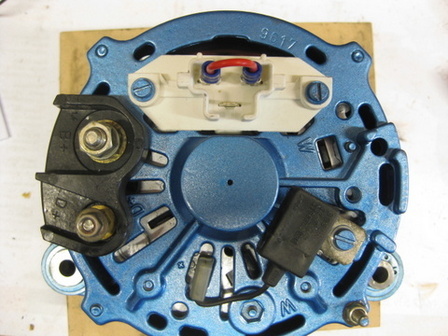 Depending on your alternator type, an external brush block is available from most auto electrical shops.We also offer a service to modify your alternator. I always recommend a Bosch 80-90 amp alternator, which is about the highest rating without going into high priced alternators. No matter how good any smart regulator is, if the alternator is not spinning fast enough then you will not get a good charge current into your battery bank. You need to calculate what your lowest cruising rpm is and arrange your pulley size to ensure your alternator is producing the best possible output. Remember, for every 25 amps you will draw 1hp power of engine energy.